Singapore is the country for and of dreamer’s; this island city is a global financial centre and boasts of a multicultural population. When it comes to this tropical city-state, Singapore is always a hit with Indians as it boasts of its very own centre abuzz with Indians, namely ‘Little India’. 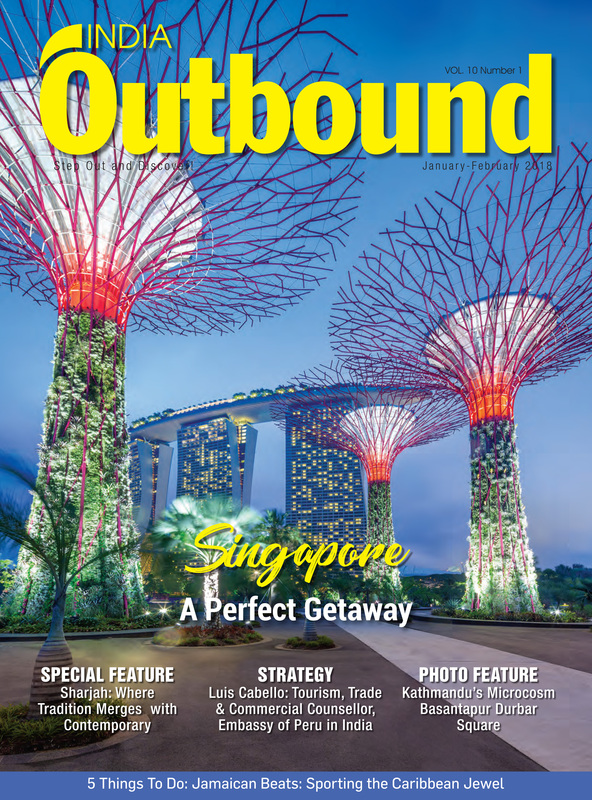 Travel with us, as we take you through some of the extensive destinations, cuisine and culture of Singapore while laying special emphasis on Singapore as a perfect family getaway destination. Moving on, one can also experience the mysticism of Sharjah, the conventional UAE city with a contemporary twist as this issue boasts of a special feature of the Emirati customs. Also in store for you is a photo-spread from the land of smiles-Nepal. Come join us, as we take you along for a joy ride across the globe where we explore offbeat destinations, wine retreats, upcoming festivals, and entertainment parks among much more. Swaying to the beats of reggae, sipping on a glass of ice cold ‘liquid gold’ while soaking the sun, sand and spirit of Jamaica leads to realising what makes the Jamaican farewell such a difficult one. From long sandy stretches, magnificent waterfalls, mystic mountains, to extensive shopping districts, happening nightlife and haute culinary spreads, the island nation is all about having a good time. A gateway to the UNESCO World Heritage site of the ruins in Machu Picchu, Cusco in Peru is a powerhouse of culture and a living monument to Inca history. While visiting Dubai, a tourist is spoilt for choice – be it for shopping, dining or selecting a hotel depending on the length and purpose of stay. Strategically located within a five-minute walking distance from the World Trade Centre, Dubai International Financial Centre, Downtown Dubai, and Burj Khalifa – stands the Shangri-La Hotel. It is not by chance that the Giethoorn Village in central Netherlands came to be known as the ‘Venice of the North’ as there is nary a road to be found in this small town, instead, over four miles of water channel runs through this settlement.